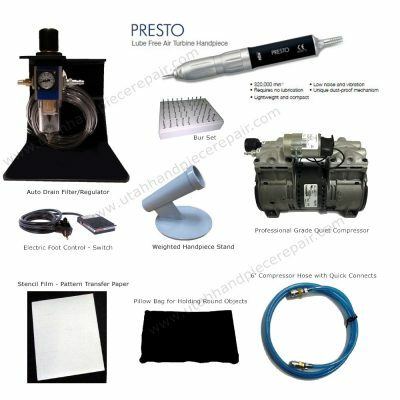 NSK Presto products including the NSK Presto handpiece, NSK Presto Chuck, NSK Presto Cartridges and more. 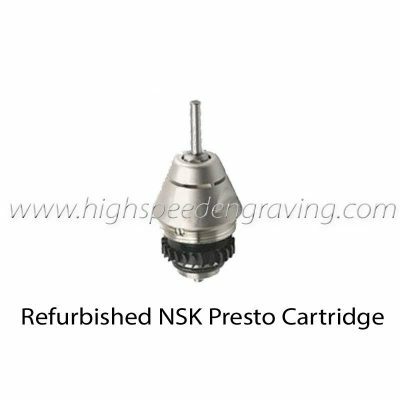 The NSK Presto had been a favorite in dental labs for many years, now it is quickly becoming very popular amongst high speed engravers and power carvers. 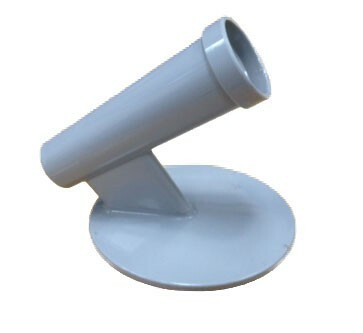 It has great torque for a high speed pneumatic tool yet it is very quiet. 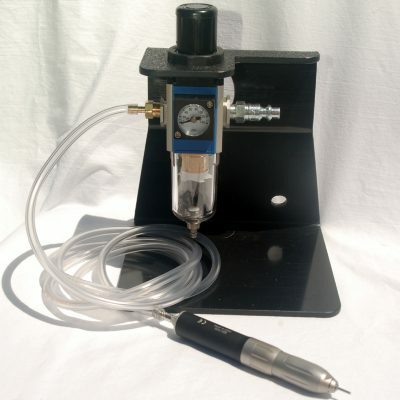 It doesn’t give you that “being at the dentist office with a root canal” feeling as you are using it (like many other dental lab handpieces do). The twist release collar is nice to release the burs because there is no plunger to accidentally hit and damage the handpiece. 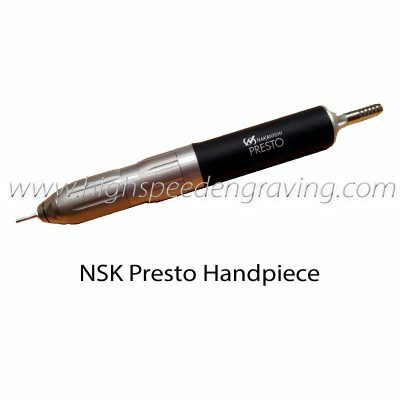 If you’re looking for a commercial grade engraving tool that is also a great value, the NSK Presto is a great choice. 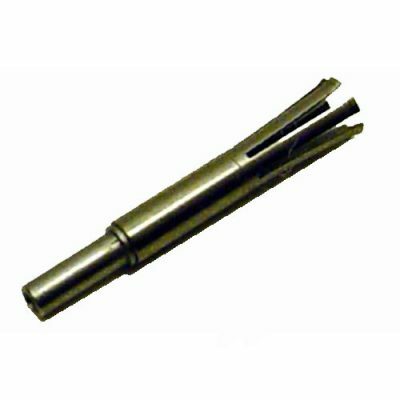 It’s very reliable and affordable to repair or rebuild the cartridges. 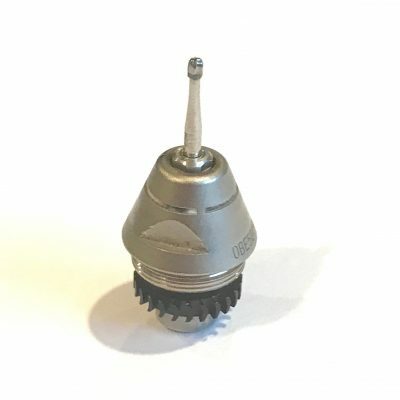 The chuck is also replaceable, so you don’t have to replace the entire handpiece or cartridge when the chuck wears out. Replacement cartridges and chucks for the Presto are less than half the cost of comparable high speed tools.